» Chaser Operations: Engines, etc. From 100-Foot U.S. Submarine Chaser - Instructions, Care and Operation of Machinery Plant, Bureau of Steam Engineering, Standard Motor Construciton Company, Jersey City, NJ, 1917. 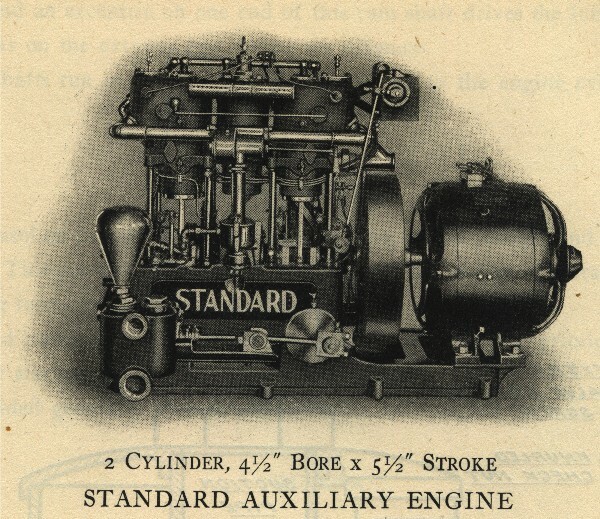 Standard Motor Construction Company auxiliary engine of the type installed on the U.S. submarine chasers.